but I've no idea where the plant was. WOW!! I, too, had a flash when I looked at that bottle, but had absolutely no recollection of it until I saw it. I know I must have drunk these in my youth, but that memory was long gone. and I'm pretty sure there was also a grape variety. That is so strange that we should have forgotten all about it! Of course! I remember Pal! And yes, they came in both orange and grape flavors. They were comparable to Tru-Ade, remember? I have an old Tru-Ade bottle, you know. Yes, Cheryl, I remember Tru-Ade and your cool old bottle! Thanks! Sure, I remember Pal drinks! They were good! ... 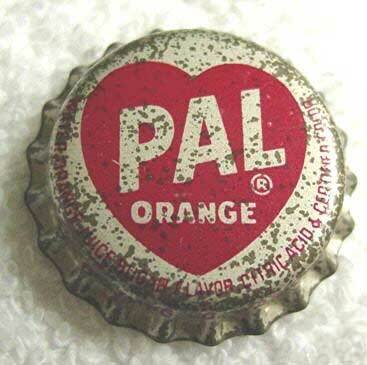 I also want to tell you that orange Pal drinks were my favorite drink when I was a kid. and a large galvanized tub full of ice with those wonderful bottled Pal drinks. Boy, I'd love to have one now. 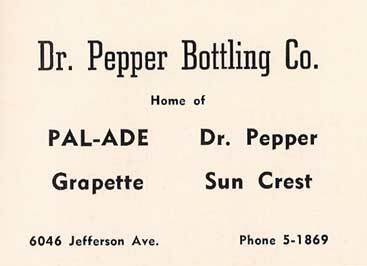 Today's orange and grape sodas just don't compare to the Pal, do they? ... Thanks for bringing back some good memories for me. YES!!! Thanks, Melody - and Congratulations! You win the First Prize in the "Remember Pal?!?" Contest! 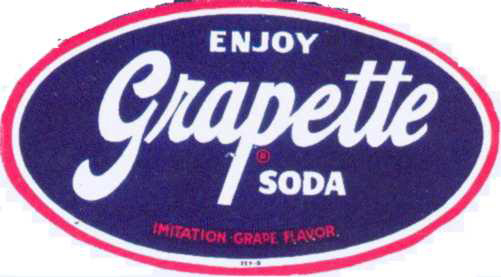 if anyone remembers the Grapette Soda which also was popular. And yes, I certainly do remember the Grapette drinks! They were delicious! First, I have to say that I was so tickled to see the Grapette sign!! It was my "FAVORITE"!! And I do believe you just picked up a third place prize in the Pal Ade Contest! Hey! The Pal bottle cap really brought back some memories!!! It was my favorite when I was younger. I liked it because it wasn’t carbonated! Probably w/be too sweet for me today! Oh, Sarah Sugah! Maybe it would be too sweet for us who have grown accustomed to sugar-free drinks. But maybe - maybe - it would be juuuuusst right! Thanks, Sarah! my tricycle down 25th Street, I noticed the PAL drink truck parked in the alley beside the store. to have a PAL drink?" Of course, I said, "Yes Sir!" He GAVE me a PAL drink. I had it opened and took a few sips, then put it back. I did this for several hours, until it was all gone. I NEVER had an entire drink for myself at home as a child. We always had to divide a drink. would have been in early 1953. I think it was for Valentine's Day.....Our homeroom mother had a party for us. PASTEURIZED". Yes, I am sure of this. I had only heard of milk being pasteurized. Red is my favorite color and the red heart on the front made the bottle especially pretty to me. I do have many good memories and these are two of them. Take care. out the door, my mom would say, "You better not stop and buy her a drink (we didn't call them soda) on the way to school." of my special "daddy" who loved his little girl so much! P.S. I was in Walgreen's this morning and they had a drink box labeled "Retro Drinks." It had RC Cola, Nehi, etc. to work and Google "Pal." LOVED your story, Connie! Thank you so much for sharing it with us! my mom would ask us to bring her a bottle of Pal. She really liked them. One reason was that Pal was not carbonated. If I should ever find a bottle of Pal, I just might leave it by her grave. Thanks, John! I enjoyed the non-carbonation aspect of Pal myself! Oh - I got a big kick out of your website! heading towards Richmond. It was called the Brown Bottling Co., I believe, and also distributed the Brownie, another non carbonated beverage that was a chocolate drink. Another nearby business was the What-A-Burger in its initial location. When Rouse Tower was built on the same spot, this business was razed in the process. I remember going to this business as a kid when a traveling circus was in town and they set up their circus on Newmarket Shopping Center's parking lot. The elephant was kept on the bottling company's property tethered by a chain around its leg. We were allowed to touch the elephant when the trainer was there, too. WOWZERONI! Thanks so much, Malcolm! I was just a kid in the mid 1940's. I love that drink so much. Trying to find it and I can't. Do they still sell it somewhere? Ohhh, sorry, how I wish they did! It was my favorite, too - and it wasn't carbonated, which I would dearly appreciate now! My name is William Woody, and I remember it was the best drink for making ice cream floats, especially the orange flavored one. It was in 1950, back in Lynchburg, VA on White Rock Hill. OOH, thank you, William - Pal floats! I regret to say I never tried those - another of life's missed opportunities! (This song was first released on the rocky mountain holiday album.